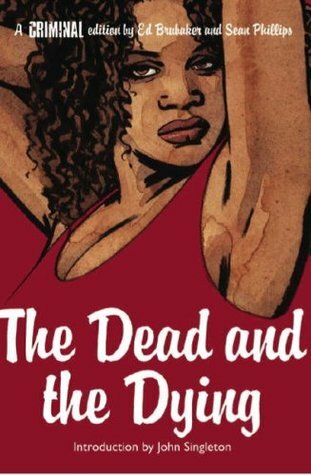 The third volume of Ed Brubaker and Sean Phillips’ Criminal series contains three interlocking tales all revolving around Danica, a beautiful but ultimately flawed woman. With this volume, you’re beginning to see their universe take shape. There are characters resurfacing, settings reappearing and themes continuing. With Brubaker, the writing, as always, is top-notch and his consistent collaborator Sean Phillips brings it home with his excellent style. With the Criminal series, Brubaker and Phillips are bringing us some of the strongest tales outside of your standard comic fare. If you’re not reading their work, you’re seriously missing out on some fantastic work that transcends the funny-book genre – belonging next to some of the more classic hard boiled and noir tales While this third volume is not exactly the strongest of the three, a weaker Brubaker/Phillips book is usually stronger than most’s best. August 20, 2013 in Comics, Ed Brubaker, Fiction, Sean Phillips.